Master the art of chair massage. This beautiful program will teach you over 50 techniques that you can incorporate into a 10, 15, or 30 minute chair massage. Covers advanced techniques and foundational material such as chair setup, bodymechanics, communication, the business of chair massage, how to adapt your sequence, and marketing. Many of the techniques are supported by anatomical graphics that make learning easy. After you have mastered the techniques, we have included a timed 15 minute session so you can master the art of timing as well- sometimes the most difficult part of chair massage. This class includes 4 lessons with 91 minutes worth of video, taken from our chair massage dvd. In this lesson, Diana discusses how to increase your practice by using chair massage. She discusses the basics of using chair massage to grow your business with useful tips. She then discusses what you will need to bring when you are visiting an office. Next she discusses the strengths and weakness of various massage chairs, plus how to set up a massage chair. Finally she discusses the basics of chair massage technique, proper posture, and demonstrates cross fiber friction, petrissage, compression, trigger points, stretching and mobilization, precision and energy holds. In this lesson Diana reviews the various body landmarks that you will be working around. Then she shows 50 techniques that you may use in a 30 minute practice. Each technique is clearly demonstrated and explained. The sequence that she shows includes the back, neck, arms and legs- all performed in a massage chair. This lesson is 50 minutes long. Learning to get the chair massage routine down to 15 minutes can be difficult, and the number of techniques shown in the previous lesson are too many to perform in one 15 minute routine. This lesson includes a timer and Diana goes through the sequence in real time. The student should practice along with Diana, matching her pace, in order to be able to give a session in 15 minutes. 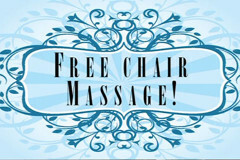 This lesson discusses marketing strategies to build a chair massage practice. She discusses package deals, working in a health-club, and negotiating creative partnerships. She also discusses working at events, or working at businesses, with specific steps and ideas that have been proven to work.